Embry-Riddle Worldwide faculty, staff, students and graduates recently took part in a world record-breaking unmanned aerial package delivery destined to make future drone delivery a reality. 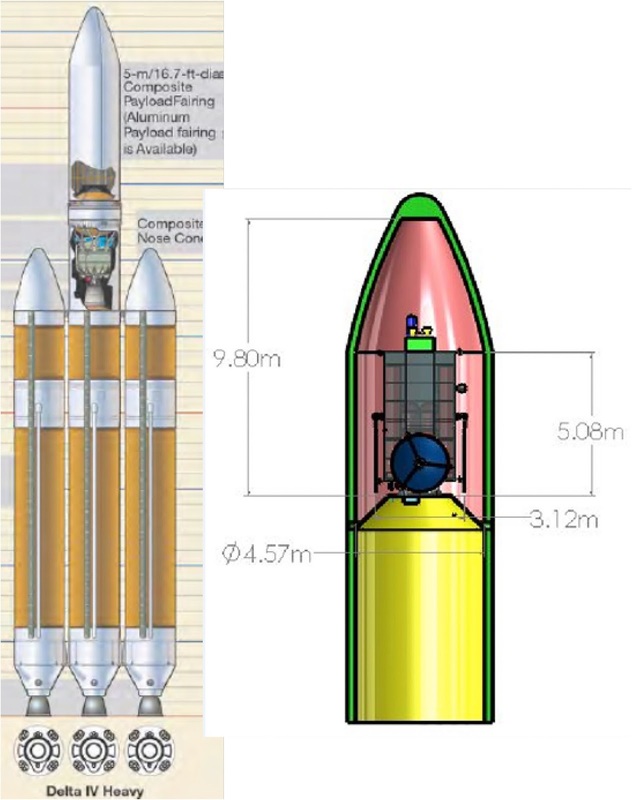 Detailed design of a notional dual-role planetary defense spacecraft. This paper is part of an integrated study by NASA and the NNSA to quantitatively understand the response timeframe should a threatening Earth-impacting near-Earth object (NEO) be identified. The two realistic responses considered are the use of a spacecraft functioning as either a kinetic impactor or a nuclear explosive carrier to deflect the approaching NEO. The choice depends on the NEO size and mass, the available response time prior to Earth impact, and the various uncertainties. Whenever practical, the kinetic impactor is the preferred approach, but various factors, such as large uncertainties or short available response time, reduce the kinetic impactor's suitability and, ultimately, eliminate its sufficiency. 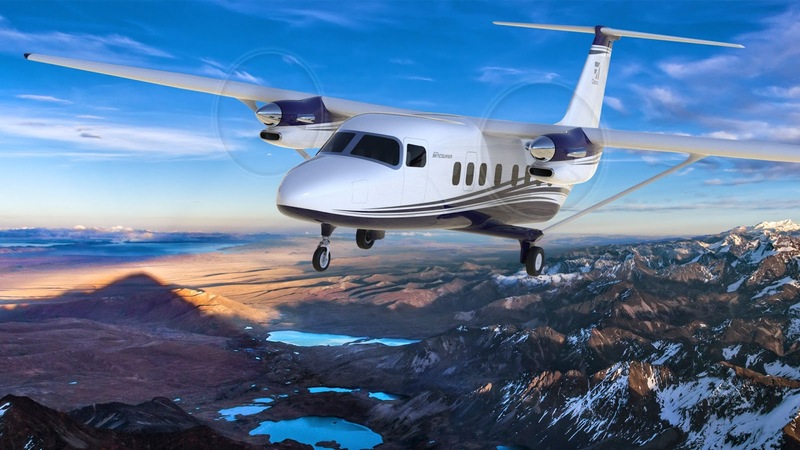 Textron Aviation Inc., a Textron Inc. (NYSE:TXT) company, today announced it has completed initial wind tunnel testing of its new twin-engine Cessna SkyCourier turboprop. 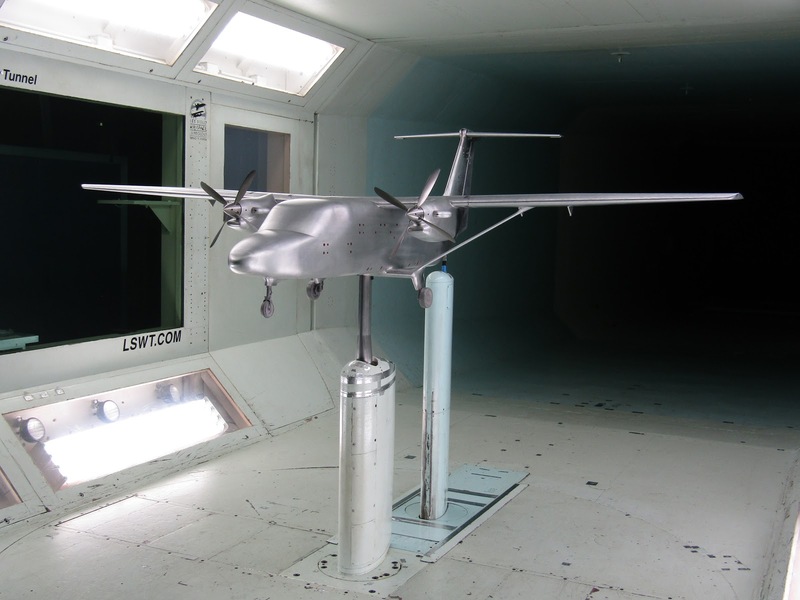 Results from comprehensive wind tunnel tests will provide performance and aerodynamic characteristics and structural load data, further finalizing the aircraft design. Since Textron Aviation announced the Cessna SkyCourier in November 2017, the company has seen tremendous interest from operators looking for a modern solution in the large twin-utility space. As part of the aircraft’s design development, the company is garnering feedback from its Customer Advisory Board – empowering operators to affirm what customers need in this segment. The company is anticipating first flight of the Cessna SkyCourier in 2019 with entry into service in 2020. The Cessna SkyCourier is a twin-engine, high-wing, large utility turboprop that will offer a combination of high performance and low operating costs for air freight, commuter and special mission operators. The freighter variant will feature a large cargo door and a flat floor cabin that is sized to handle up to three LD3 shipping containers with an impressive 6,000 pounds of maximum payload capability. 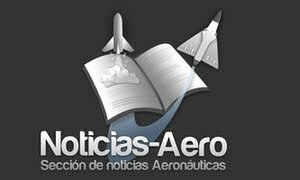 The aircraft will also afford a maximum cruise speed of up to 200 ktas and a 900 nautical-mile maximum range. The efficient 19-passenger variant will include crew and passenger doors for smooth boarding, as well as large cabin windows for great natural light and views. Both configurations will offer single-point pressure refueling to enable faster turnarounds. The aircraft will be powered by two wing-mounted Pratt & Whitney PT6A-65SC turboprop engines, and operated with Garmin G1000 NXi avionics. The Cessna SkyCourier will be backed by Textron Aviation’s service network, a world leader in commuter, cargo and special mission fleet support. Textron Aviation Inc., a Textron, Inc. (NYSE: TXT) company, today announced the Cessna Citation Longitude has successfully circumnavigated the globe, demonstrating its commanding performance and impressive reliability to customers along the way. Throughout its world tour, the Longitude traveled more than 31,000 nautical miles, flew 27 legs and visited 12 countries. 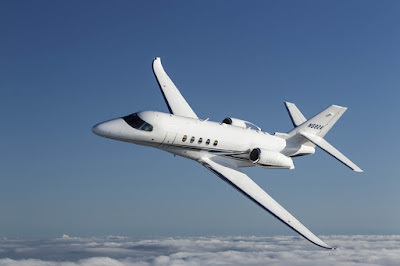 Textron Aviation Inc., a Textron, Inc. (NYSE: TXT) company, announced that, for the second consecutive year, the Cessna Citation Latitude earned the title as the category’s most delivered business jet. 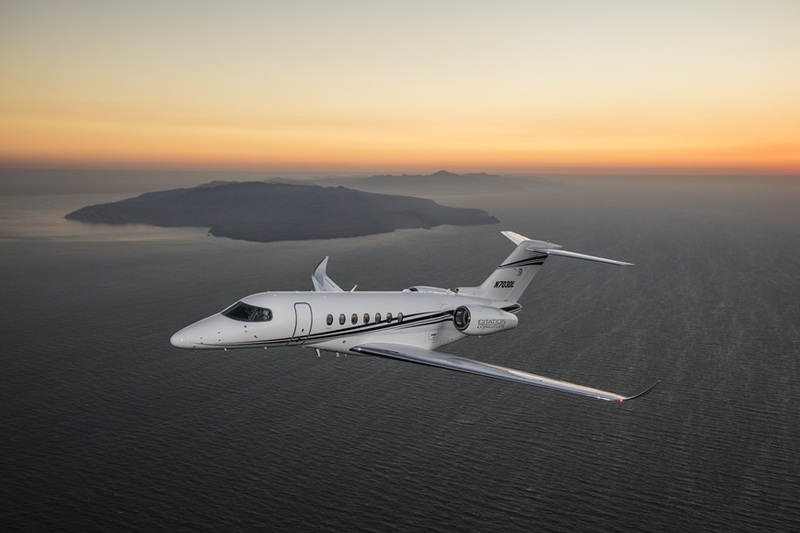 Citation Latitude 2017 deliveries increased by 30 percent from 2016, to 54 deliveries, further cementing its position as one of the world’s best-selling business jets since its entry into service in 2015. 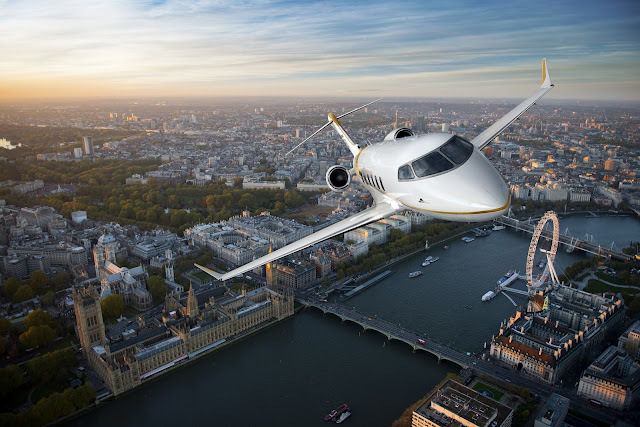 Bombardier announced (March, 6th) that its best-selling Challenger 350 aircraft is progressing towards steep approach certification, allowing operators to perform landings under strict conditions, including the steep 5.5-degree approach angle and short runway of London City Airport. 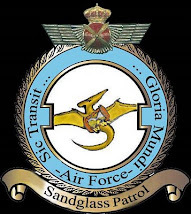 The aircraft recently completed its steep approach certification flight test campaign, and also performed several takeoffs and landings at the London City Airport to demonstrate this operational capability. Final certification is expected later this year. With its perfectly balanced design, the Challenger 350 aircraft offers customers a smooth ride and the opportunity to reach their chosen destination quickly and efficiently. 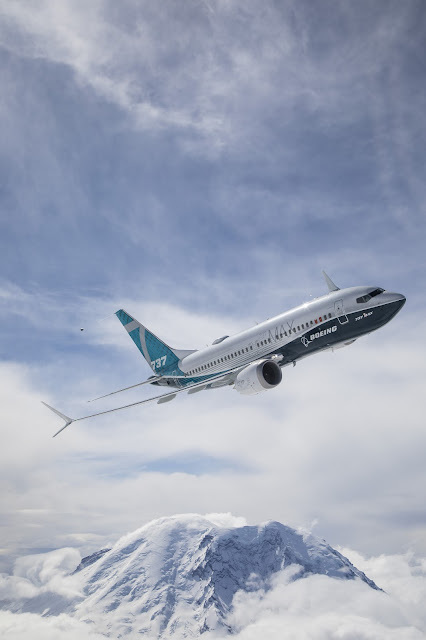 SEATTLE, March 16, 2018 /PRNewswire/ -- Boeing's [NYSE: BA] new 737 MAX 7 successfully completed its first flight today. The airplane remains on schedule and now begins a comprehensive flight test program leading to certification and delivery in 2019. 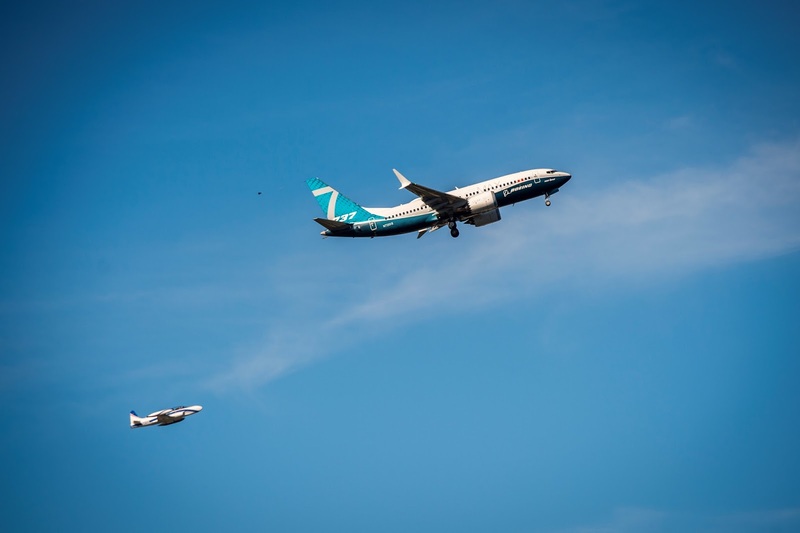 "Everything we saw during today's flight shows that the MAX 7 is performing exactly as designed," said Keith Leverkuhn, vice president and general manager of the 737 MAX program, Boeing Commercial Airplanes. "I know our airline customers are going to enjoy the capabilities this airplane will bring to their fleets." Piloted by Boeing Test and Evaluation Captains Jim Webb and Keith Otsuka, the airplane completed a successful 3 hour, 5-minute flight, taking off from Renton Field in Renton, Wash., at 10:17 a.m. Pacific, and landing at 1:22 p.m. at Seattle's Boeing Field. The airplane was put through tests on its flight controls, as well as checks of its systems and handling qualities. 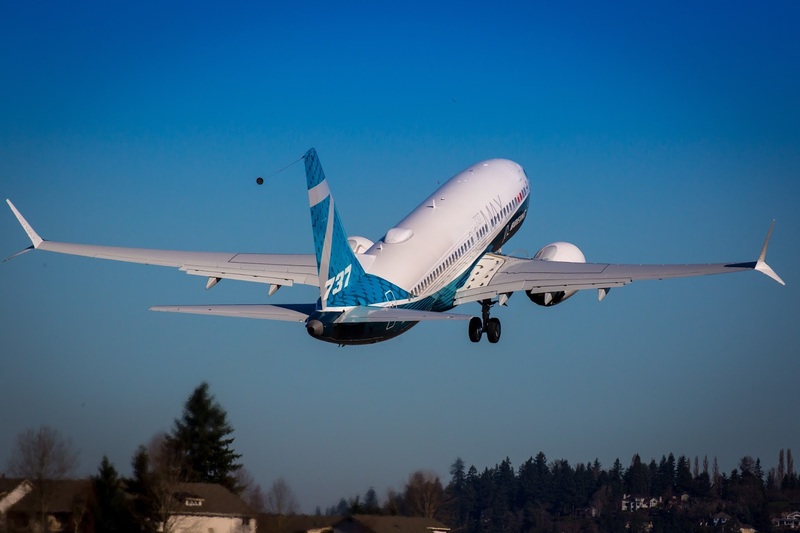 The airplane is the third and newest member of Boeing's 737 MAX family to be produced, with a maximum capacity of 172 passengers. The MAX 7 has a range of 3,850 nautical miles, the longest of any MAX family airplane. It is designed for exceptional performance for airline customers flying out of airports at high altitudes and hot climates. "The MAX 7 will provide airlines an efficient product for opening and flying thinner markets and accessing challenging airports, while enjoying all the benefits of being part of the 737 MAX family," said Randy Tinseth, vice president of Marketing, Boeing Commercial Airplanes. The MAX 7 also offers superior performance to the competition, carrying 12 more passengers 400 nautical miles farther than the A319neo, on 7 percent lower fuel costs. The 737 MAX family incorporates the latest CFM International LEAP-1B engines, Advanced Technology winglets, Boeing Sky Interior, large flight deck displays and other features to deliver the highest efficiency, reliability and passenger comfort in the single-aisle market. CHICAGO, March 15, 2018 /PRNewswire/ -- Boeing [NYSE: BA] announced its investment in Fortem Technologies, Inc., a Salt Lake City, Utah-based company developing advanced radar systems for unmanned and manned aircraft. Fortem Technologies offers airspace awareness solutions using low size, weight and power radar to ensure safe operations of unmanned aerial vehicles. Fortem's TrueView radar technology helps UAVs detect and avoid other aircraft and airborne objects beyond visual line of sight — a key capability for future autonomous air vehicles. "Radar technology is a necessary and trusted element as we continue to strengthen autonomy capabilities for a variety of commercial and urban mobility applications," said Steve Nordlund, vice president of Boeing HorizonX. "Safety is paramount in our approach to the responsible introduction of future air vehicles. Fortem's radar systems will help as we pave the path to emerging markets of autonomous flight." Founded in May 2016, Fortem has developed a suite of radar systems and radar-enabled product solutions to help unmanned aircraft and pilots safely operate in an increasingly crowded airspace. Its TrueView radar systems enable autonomous aircraft to perform various logistics applications, including cargo transport, package delivery and large infrastructure inspections. "With support from Boeing and others, Fortem can scale more quickly to support continuous improvements in airspace safety," said Timothy Bean, CEO of Fortem Technologies. "We look forward to continue working with Boeing as they develop autonomous air vehicles." Boeing HorizonX Ventures participated in this Series A funding round, which included follow-on investments by Data Collective (DCVC) and Signia Venture Partners. This is Boeing HorizonX Ventures' second investment in autonomous systems technology since the fund was established in April 2017. The Boeing HorizonX Ventures investment portfolio is made up of companies specializing in technologies for aerospace product and manufacturing innovations, including energy storage, advanced materials, augmented reality systems and software, machine learning and hybrid-electric propulsion. Boeing HorizonX also seeks unique business opportunities and non-traditional partnerships for the company's aerospace technology using disruptive innovations and business strategies. Doha, 14 March 2018 – Qatar has signed a contract for the purchase of 28 NH90 military helicopters, during DIMDEX, Qatar’s biennial defence exhibition. The agreement, which includes 16 NH90s in tactical transport (TTH) configuration and 12 NH90s in naval (NFH) configuration, will support the country’s plan to modernise their military helicopter fleet. As part of the plan, Qatar will receive 16 H125 light single-engine helicopters in training configuration for operation by the Qatar Armed Forces Air Academy. “We are honoured to support the Qatar Armed Forces through this strategic partnership”, said Ben Bridge, Executive Vice President Global Business at Airbus Helicopters. “The NH90 is a modern and combat-proven asset that will meet Qatar’s demanding operational requirements for decades to come, both in troop transport and naval missions. Our partnership on the new training academy will also strengthen the relationship between our countries by enabling the exchange of expertise and know-how in helicopter operations”, he added. Leonardo will act as prime contractor for the programme management with the end customer and Airbus will be responsible for the final assembly and delivery of 16 NH90 TTH aircraft from its facility in Marignane, France while Leonardo will be responsible for final assembly and delivery of the 12 NH90 NFH helicopters from its Venice – Tessera facility in Northern Italy. The NH90 is well suited for operations in the most demanding conditions and has been combat-proven in many theatres of operation worldwide. This contract for 28 helicopters brings the total order book to 543 aircraft. To date, 350 aircraft have been delivered to 20 customers in 13 countries and have accumulated around 170,000 flight hours. 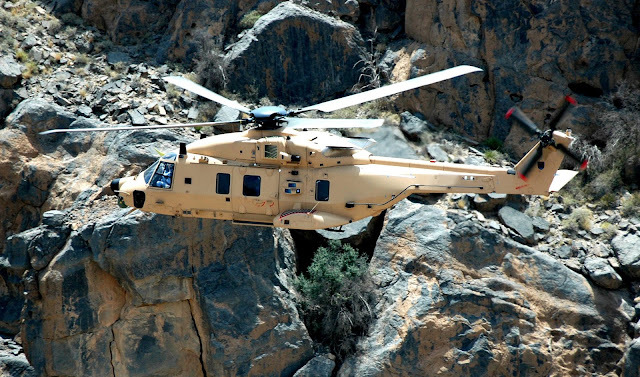 The twin-engine, medium-size NH90 helicopter program is managed by the consortium NHIndustries, a company owned by Airbus Helicopters (62.5%), Leonardo (32%), and Fokker (5.5%). Munich, 19 March 2018 – The Airbus-operated SpaceDataHighway has begun regularly relaying data from the Sentinel-2A satellite, after the successful end of the commissioning period. This marks the start of the SpaceDataHighway service using all four Copernicus Sentinel satellites and the beginning of a new era for space-based imagery users. The first two sets of Earth-observing Copernicus Sentinels-1A and -1B and -2A and -2B are signed up to this service as SpaceDataHighway’s anchor customers under an agreement between the European Union and the European Space Agency (ESA) as owners of the Copernicus programme, and Airbus as the owner and commercial operator of SpaceDataHighway. Since using the SpaceDataHighway, the Sentinel-1 constellation has increased the amount of data it produces by about 50%. The service is also able to bring operational added-value to Sentinel-1 users by greatly improving the data timeliness for observations outside Europe. This is an important asset for users, especially when it comes to the routine monitoring of remote areas in the domain of maritime applications or assessment of natural disasters and first line response for emergency. The SpaceDataHighway is the world’s first “optical fibre in the sky” based on cutting-edge laser technology. It will be a unique system of satellites permanently fixed over a network of ground stations, with the first - EDRS-A - already in space. Each day, it can relay up to 40 terabytes of data acquired by observation satellites, UAVs and manned aircraft, at a rate of 1.8 Gbit/s. The relay satellites are designed to lock on to low-orbiting satellites via laser and collect their data as they travel thousands of kilometres below, scanning Earth. SpaceDataHighway then immediately sends the collected data down to Europe from its higher position hovering in geostationary orbit, acting as a go-between. This process allows the lower satellites to continuously downlink the information they are gathering, instead of having to store it until they travel over their own ground station. That way, they can send down more data, more quickly. 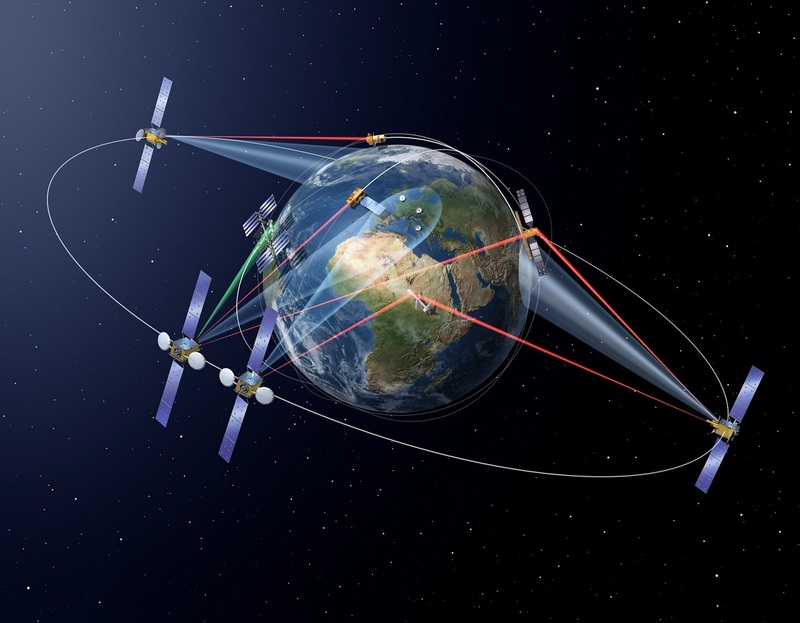 The SpaceDataHighway is a public–private partnership between ESA and Airbus, with the laser terminals developed by Tesat-Spacecom and the DLR German Space Administration. EDRS-A, the first SpaceDataHighway relay satellite launched in January 2016, offers coverage from the American East Coast to India. A second satellite will be launched in 2018. It will double the system’s capacity and extend the coverage and redundancy of the system. Airbus is willing to expand the SpaceDataHighway with a third node, ERDS-D, to be positioned over the Asia-Pacific region.